We meet each Sunday morning for worship at 9:30am. The Worship Center is located at 375 Sixth Street, one block West of downtown Hollister. At Grace, we want to make your visit as encouraging and welcoming as possible. On Sunday mornings you’ll find a friendly smile and a warm greeting from volunteers who are happy to answer any questions and direct your way. For the more frequent, yet important questions you may have, be sure to check the following Common Questions and Answers. Our worship service begins each Sunday at 9:30 am, so planning to arrive 5-10 minutes before the service starts should allow plenty of time to get to where you need to go. If you are visiting with children, we recommend you arrive 10-15 minutes early so that we can help you find your children's meeting rooms. Come as you are! You will fit in just fine whether you come in jeans and a t-shirt, polo and khakis, slacks or dress, or suit and tie. Sunday service is approximately 90-minutes long. Opening prayer and a time of worship begins at 9:30 am, with preaching and teaching concluding by 11:00 am. What is the preaching/worship style? We emphasize an expositional style of preaching, or verse by verse style aimed at clearly and accurately explaining the Word of God. Because we believe in the fully inspired, inerrant Word of God, we seek the full counsel of God by studying through books of the Bible, though sometimes a topical series is taught expositionally to focus on a specific area of Christian teaching. Our worship style consists of "psalms hymns and spiritual songs" (Ephesians 5:19) that drive a Christ-centered worship and prepare our hearts and minds for the clear preaching of His Word. Yes, yes, and Amen! Click HERE for a full explanation of our view of the Bible as the Word of God, and for all the essential truths we believe and teach at Grace. We celebrate communion typically the first Sunday of each month, but can when led by the biblical content of the message, enjoy other special times of communion at the Lord's table. What Bible translation does Grace recommend? What does Grace Bible Church believe about the Bible? We believe the Bible is the Word of God inspired by the Holy Spirit and inerrant in its original manuscripts and therefore our sole authority for knowing and treasuring God through His Son, Jesus Christ. It is the Bible alone that reveals to us “the light of the knowledge of the glory of God in the face of Jesus Christ.” (2 Corinthians 4:6) For this reason we preach the Bible and encourage all those in our church to read, study and memorize the Bible. What translations does Grace recommend? Since the first English version of the entire Bible was translated by John Wycliffe in the 1380’s, many translations have appeared. The most prominently used English Bible has been the King James Version, originally published in 1611. However, in the last few decades English translations have proliferated at a daunting rate. We recommend a "word for word" translation rather than Bibles that include either moderate or extensive "paraphrase". Paraphrased translations, as the word suggest, reword sections of the text in an attempt to clarify, but can result in the inadvertent insertion of supplemental meaning or viewpoint. A good "word for word" translation strives to communicate the exact meaning of the original manuscript. Translations we have the greatest confidence in are the ESV, NASB, NKJV, and HCSB. Our Sunday morning services utilize the ESV Bible. Though you may have a favorite version you want to continue using for study or even as a devotional Bible, we encourage you to consider a good "word for word" translation to use in our church gatherings. Above all, whatever version of the Bible you use, continue to give yourself to reading, memorizing and meditating on the Word of God to behold His glory. Can you describe children's ministry and worship? Your kids are a precious gift from God. They are important to you, and they are important to us. That's why we provide quality, energetic, Bible-based ministries just for them. While you are discovering more about God's Word, your kids are too! Children ages 4 and up are encouraged to join parents in the worship portion of our service and enjoy the Lord together as families. Children are welcome in the service, or can be excused for Children’s Church just prior to the sermon for ages 4-years-old through 6th grade and can be accompanied by a parent to class during the break. Follow these links for more information on Children's Ministries or to view the Campus Map. Yes, there are midweek meetings for Jr. High, High School and Young Adults that will strengthen and encourage their faith and calling in Christ. To find the group that matches your child or young adult, please follow the Youth Ministries link. How can I get connected at Grace? There are many ways for you to get connected at Grace, and the best place to start is with introductions. Through our Contact Page you can let us know of your interest in Grace, any questions you may have, and if you would like to be contacted by a pastor or other church representative. Similarly, on any Sunday morning visit to our Worship Center, you'll find a handy welcome card in the seat back in front of you. Fill out the card to contact a pastor or church staffer. Beyond introductions you'll find there are numerous women's, men's, youth and adult activities, and community groups that meet throughout the week that offer a wealth of opportunities to serve and grow in the Body of Christ. Still not sure where to start? Call the church office today– we'd love to help! Are there small group meetings for fellowship and growth? There are numerous Grace Community Groups that meet throughout the week in nearly every area of our community. Whether you're young, old, married, with kids, or single, you can find a loving supportive nurturing community group where you will be encouraged and challenged in your relationship with Jesus Christ. To find out more, contact the church office by E-mail or call 638-1394 today! Are there opportunities for my family to serve? A servant's heart is at the core of every believer born in the knowledge of God's great mercy and love poured out so generously on us. As believers, we seek to serve even as Jesus served and humbled Himself, taking on the form of a servant (Philippians 2:3-7). Jesus helped show us where to start when He declared in Matthew 20:26-28, "whoever wishes to become great among you shall be a servant." Are you willing to serve through cleaning, odd jobs, or fulfilling maintenance needs? The needs within the body of Christ provides many opportunities for a humble servants heart to minister to others in important ways. Most are not glamorous or of notoriety, but they allow us to live out our calling as members of the body of Christ in very tangible ways. If you are not currently serving somewhere in the church, or are new to Grace, we encourage you to look for opportunities. As you grow familiar with the people and ministries of Grace and begin serving the body of Christ, you'll discover numerous ways to become more deeply involved in other areas of ministry such as, men's and women's ministries, youth, outreach, etc. Becoming involved in a Grace Community Group or participating in a growth development opportunity such as Men's or Women's Discipleship Training Program, will also create opportunities as you become more aware of specific needs and the gifting necessary to meet those needs for the glory of God. To find out more, contact the church office by E-mail or call 638-1394 today! How is the church governance organized? 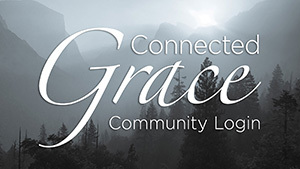 In broad strokes, Grace Bible Church of Hollister is an elder led church. We know that God has established Jesus Christ His Son and His Word as the final authority over all things, particularly the church; therefore they are the final authority for the practices and governance at Grace (Colossians 1:18, Ephesians 1:22-23). One way the Lord exercises this authority is in choosing to give responsibility and accountability in the local church to the Elders (Acts 20:28; Ephesians 4:11; Hebrews 13:17). So as men called of God, our elders seek to "keep watch over your souls as those who will give an account." For a full explanation of what we Believe and Teach at Grace Click Here. We do receive an offering in our services in which our members are encouraged to participate joyfully and without compulsion. These offerings help us as we seek to keep our ministries running well. In addition it gives us opportunity to support missionaries throughout the world. We hope that no one here gives out of obligation, but rather out of joy for the Lord's work. We do not expect visitors and friends to participate in giving, but as you become a regular attender, we trust you will grow in your understanding of the importance of giving sacrificially out of every area of your life. If you have additional questions that you'd like to have answered before Sunday morning and can't find them on our website, just give our church office a call at 638-1394, or use the handy Contact Page form to let us know of your interest in Grace, any questions you may have, and if you would like to be contacted by a pastor or other church representative.